Om Wire & Wire Products Industries is highly appreciated in the market for its brilliant quality guardrails material. 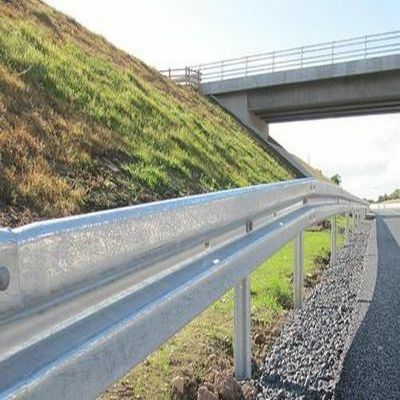 The company is a premium Metal Beam Crash Barrier manufacturer, wholesale supplier & exporter from India. We are offering our products in standard as well as in customized specifications in order to meet the exact end requirements of the industry. These are developed using superb quality materials. Along with this, the company has also used cutting edge machinery & advanced technology. This ensures durability, reliability & long life. Our quality maintenance cell has also tested our products at every stage of development in order to maintain international quality standards. We are also serving in Chittoor. Our advanced machinery makes us capable of entertaining bulk orders in stipulated time frame. Moreover, we are offering our products at competitive rates. The high performance of our products has made us leading Crash Barrier manufacturer, wholesale supplier & exporter from India.